Say hello to one of the prettiest things I own. Honestly, I have never been so excited about a delivery in my life! But I'm sure all you Disney lovers can relate. I missed out on the first two mirrors from Sephora's collaboration with Disney, and they're now selling for an arm and a leg, so I was more than pleased that I was able to snap this one up. I wasn't too thrilled about the design of this collection when the previews were released, I initially thought they were a bit "blah" and lacklustre when they could have done so much for Ariel. But, when the reviews started popping up I changed my mind. 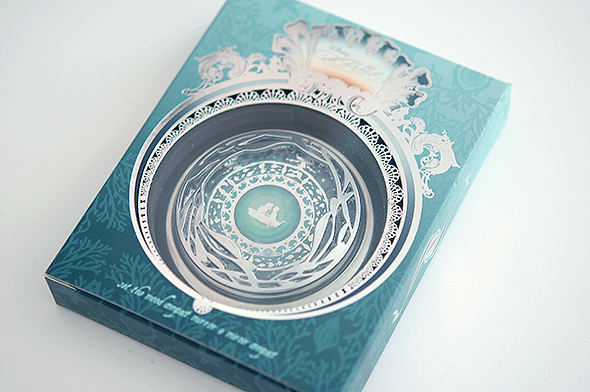 The details, not only on the mirror but on the box too, are beautiful, showcasing different oceanic elements such as waves, shells, seaweed and the like. 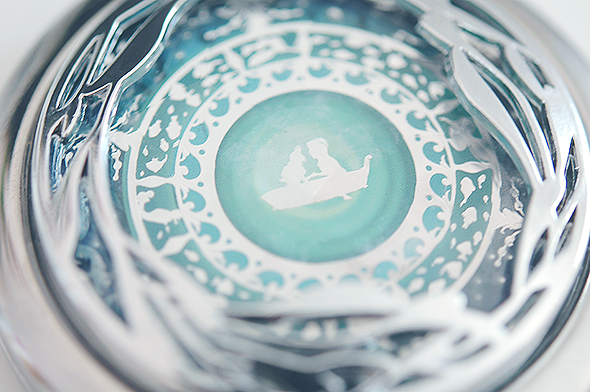 In the centre of the mirror is the famous "Kiss the Girl" scene from the movie, showing Ariel and Eric in the boat surrounded by little fish and birds. 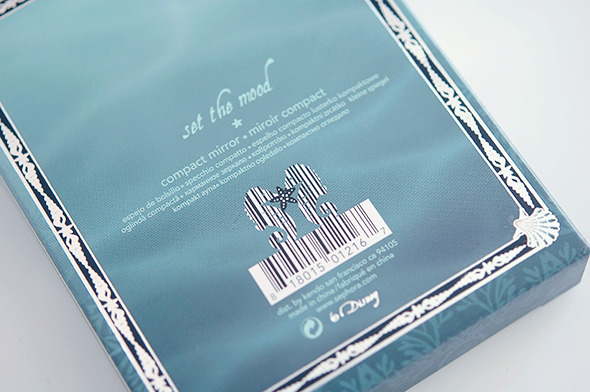 It also has a raised outer casing detailing waves, fitting in with the underwater theming perfectly. There are two mirrors, one a regular mirror and the other a 2x zoom mirror. 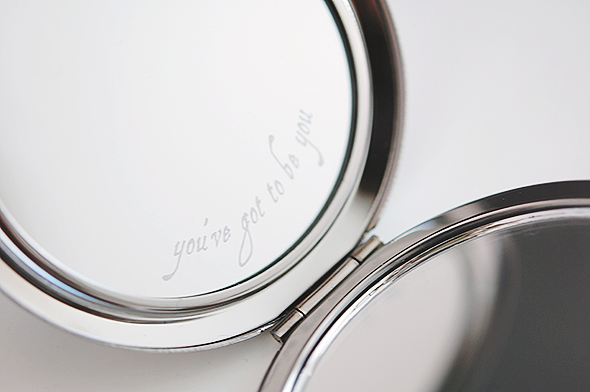 The quote "You've got to be you" written on the box is also featured on one of the mirrors. Some people have issues with this quote, but I like it. It may be sad that I know this, but there's actually a song named "You've Got to Be You" from The Little Mermaid TV series, so maybe that's where they got the idea? While there's no denying it's a beautiful mirror, I would feel conscious about taking it out and about with me as I have the habit of breaking things in my bag, and it has a bit of heftiness to it. But it gets a lot of use at home, so I'm not complaining! If you're in the UK, you may want to check out Roses Beauty Store regularly to see if these come into stock. If not, I've seen a few (what I'd consider) decent prices floating about on eBay for around £30! Ahh I had no idea where the quote came from so thank you for clearing that up! And £30 on eBay isn't bad at all! Well, hello gorgeous! 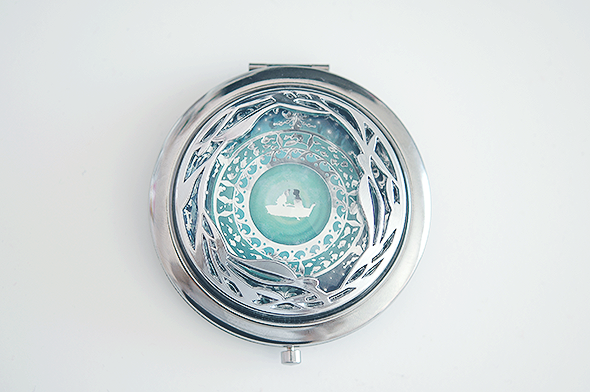 This mirror really is the prettiest. I'm infatuated with it, it's just so pretty. I want this so bad, it's unreal. The kid in me is crying, seriously. I'm giving away a MAC Lipstick on my blog if you'd like to enter! The perfumes sound so nice but I'm so picky that it's stopped me buying them in case I hate it!